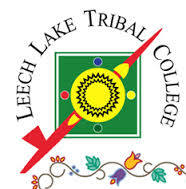 Leech Lake Tribal College is a wonderful institution with some of the finest faculty and staff in Minnesota working here. We are totally accredited by the Higher Learning Commission out of Chicago, Illinois so our credits can transfer to nearly any institution of higher education in the country. With some of the lowest tuition rates in Minnesota, we make earning a college degree affordable. 6945 Little Wolf Road áá.